I thought I would start a mini series showing ways to utilize a suit so you would get the maximum amount of wear that you can. 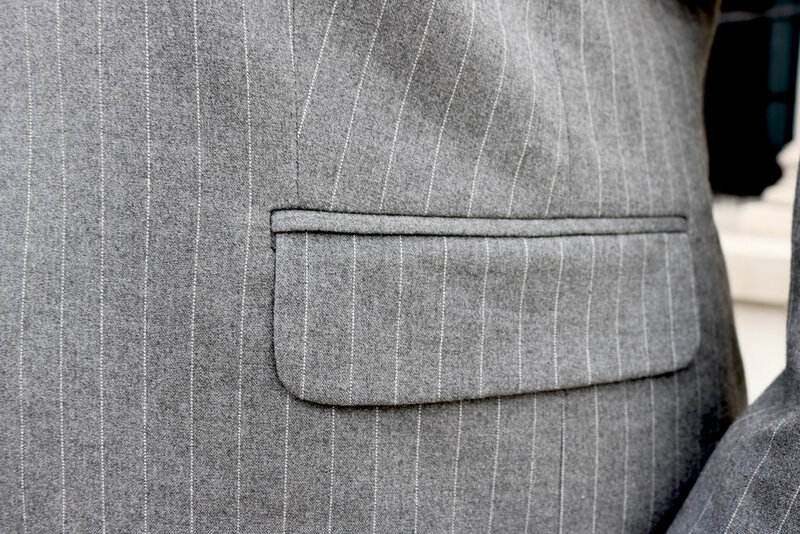 The one I chose was a classic grey pinstripe, from Addition Elle. 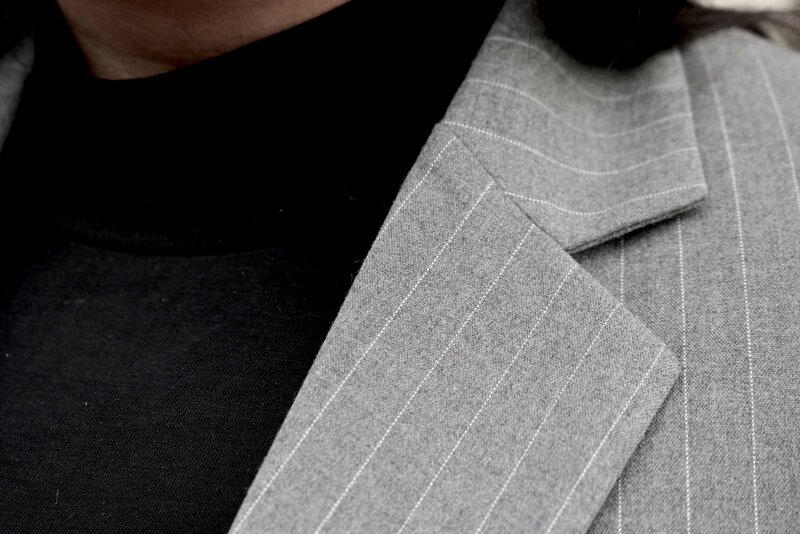 The pinstripe is a pattern that will continue to be in fashion, and the oversized boyfriend blazer adds versatility and options to other looks. The cigarette pants are beautiful on (size runs a little small), and the tapering gives the illusion of longer legs. I paired the suit with a black mock neck top. The mock neck is such a classic fall piece that it updates the suit making it more causal and fun. I kept the look clean by wearing pointed toe leather pumps, and gold toned jewelry.